A few ingredients in any good witches brew. 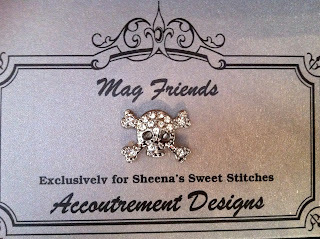 Skulls & Toads of course! Well we could not very well just have one sports ball. More coming soon. Good luck to all in the expected areas of the storm(s). May you have lots of stitching time and little clean-up. 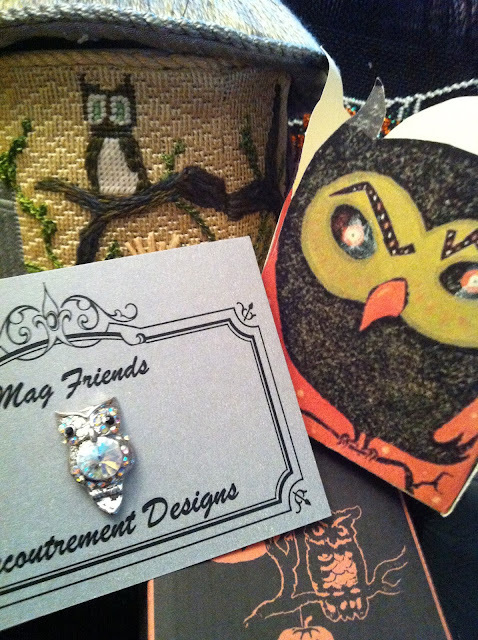 Mag Friends Owl Magnet available at your local LNS. What is Halloween without candy! Halloween is 8 nights away. 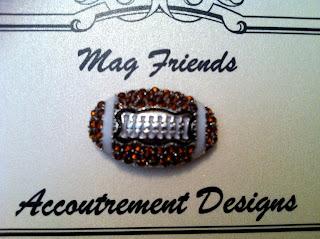 Mag Friends Bat Magnet available at your LNS. haunting your Halloween! 10 days and counting. 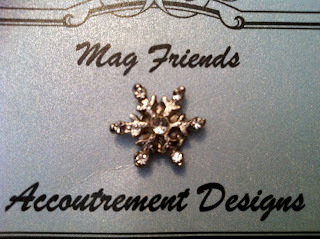 Mag Friends Ghost Magnet available your LNS. 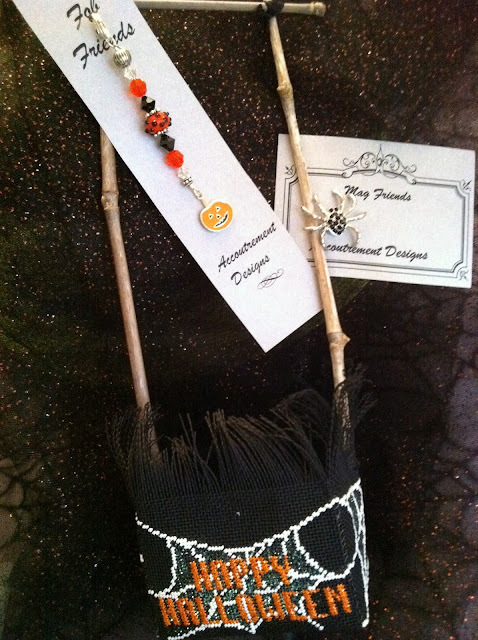 13 Days of Halloween & Black Cats Rule! 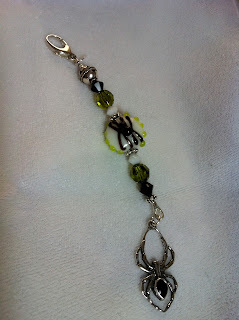 Accoutrement Designs Black Cat Magnet & Fob. 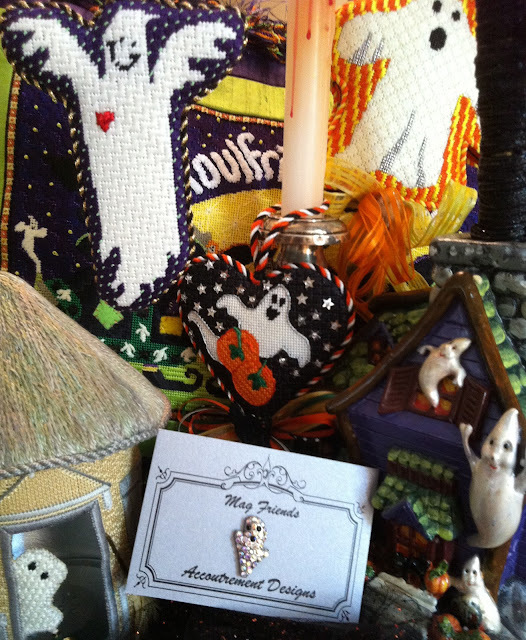 The Needlepoint: A Julia Box, David McCaskill - Halloween House, Danji - Goulfriends Rule (Amy Bunger stitch guide), Princess & Me - Halloween Ornament and A Stitch in Time - San Marino - Halloween Pail. More cats in the stash and WIP's. 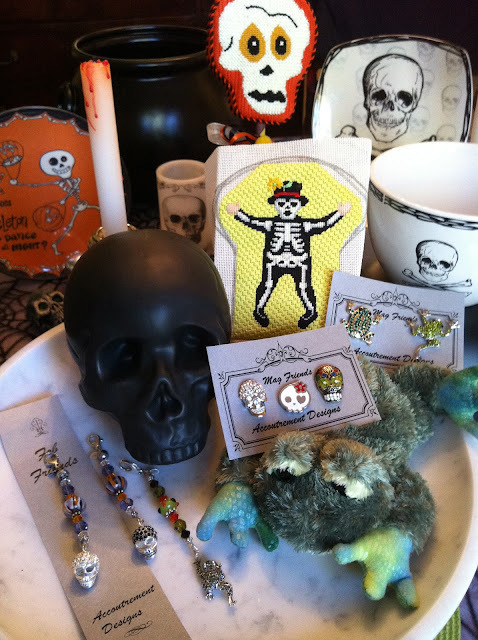 We celebrate Halloween this month with all of it's fun and frivolity. October is also Breast Cancer Awareness Month. That is something that is truly scary! The Pink Ribbon is a symbol of "hope" for a "cure" of breast cancer. 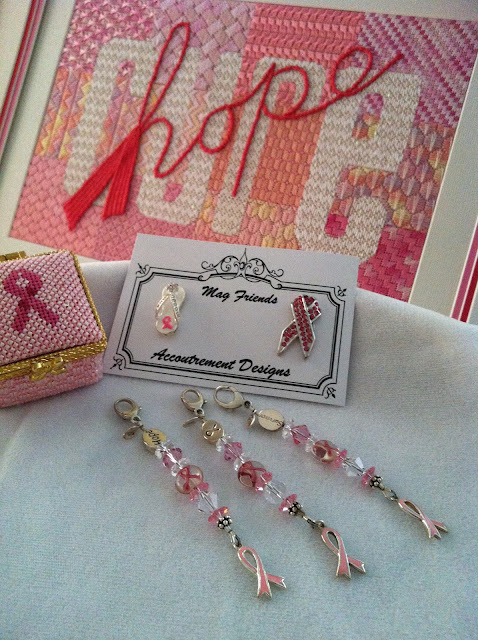 Accoutrement Designs Breast Cancer Awareness Magnets and Fobs available. The Hope Fob sterling silver ending bead has "Hope" inscribed on both sides. The Survivor Fob has "Survivor" written on one side and a "ribbon" engraved on the other. All are available from your LNS. The Hope and Cure canvas is a proud display of the talents we have in our local ANG - Royal Palm Chapter. We are very proud of Becky Powell, our past VP, Community Projects Chair who designed this piece. ANG National even accepted it for their current Chapter Project Book. It can be adapted to any cancer by simply changing the colors. 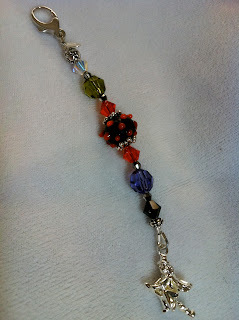 Our chapter members stitch this piece in a round robin. Then we donate it to a local Breast Cancer facility as one of our many community service projects. This is the 2nd such project and will be dedicated later this month. The box is from Julia. Look what has creeped in! 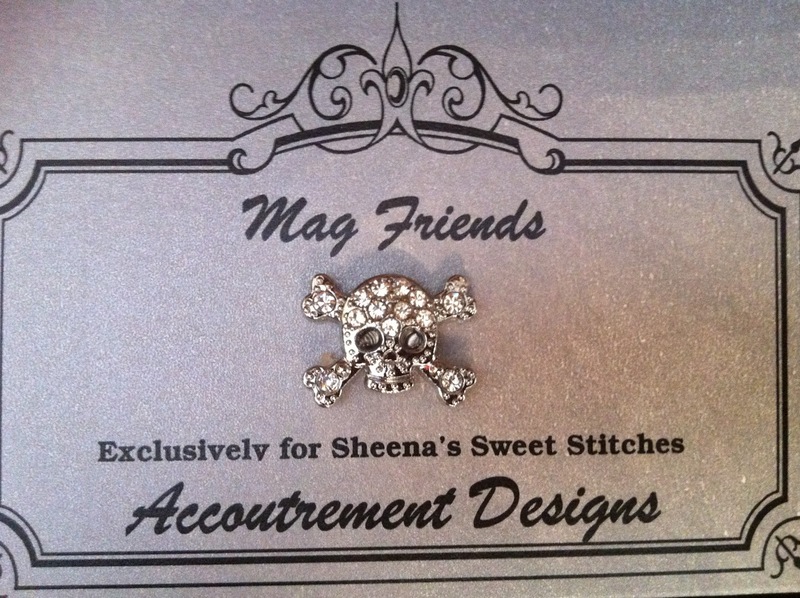 How appropriate that these coordinate with the Needlepoint Now September/October issue that we were just featured in.